Amyotrophic lateral sclerosis (ALS) is a motor neuron disease characterized by progressive motor function impairment, dysphagia, and respiratory failure. Owing to the complexity of its pathogenic mechanisms, an effective therapy for ALS is lacking. Herbal medicines with multiple targets have good efficacy and low adverse reactions for the treatment of neurodegenerative diseases. 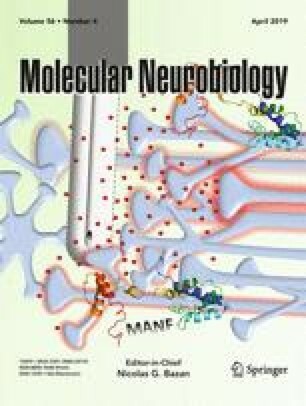 In this study, the effects of Bojungikgi-tang (BJIGT), an herbal medicine with eight component herbs, on muscle and spinal cord function were evaluated in an ALS animal model. Animals were randomly divided into three groups: a non-transgenic group (nTg, n = 24), a hSOD1G93A transgenic group (Tg, n = 24), and a hSOD1G93A transgenic group in which 8-week-old mice were orally administered BJIGT (1 mg/g) once daily for 6 weeks (Tg+BJIGT, n = 24). The effects of BJIGT were evaluated using a rotarod test, foot-printing, and survival analyses based on Kaplan–Meier survival curves. To determine the biological mechanism underlying the effects of BJIGT in hSOD1G93A mice, western blotting, transmission electron microscopy, and Bungarotoxin staining were used. BJIGT improved motor function and extended the survival duration of hSOD1G93A mice. In addition, BJIGT had protective effects, including anti-oxidative and anti-inflammatory effects, in both the spinal cord and muscle of hSOD1G93A mice. Our results demonstrated that BJIGT causes muscle atrophy and the denervation of neuromuscular junctions in the gastrocnemius of hSOD1G93A mice. The components of BJIGT may alleviate the symptoms of ALS via different mechanisms, and accordingly, BJIGT treatment may be an effective therapeutic approach. MDC performed western blotting and immunohistochemistry experiments and contributed to writing a part of the manuscript; SHL performed the behavior test (rotarod and foot printing) and administered BJIGT; EJY designed the research, performed TEM, analyzed data, and completed the final proof. This study was supported by the Korea Institute of Oriental Medicine (KIOM) under grant C16051 and C18040, and the Basic Science Research Program through the National Research Foundation of Korea funded by the Ministry of Science, ICT & Future Planning, South Korea, under grant NRF-2015R1C1A2A01053248. All mouse experiments were performed in accordance with the US National Institutes of Health guidelines and approved by the Institutional Animal Care and Use Committees of the Korea Institute of Oriental Medicine (protocol number: 13-109).